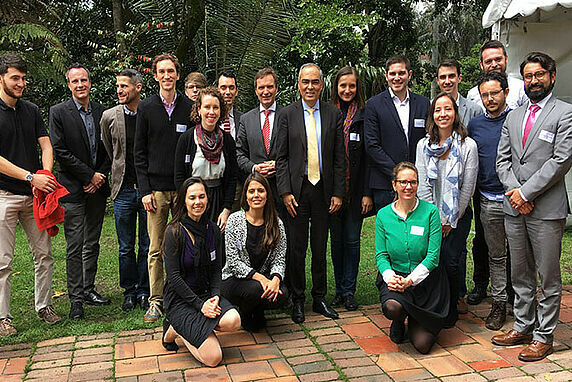 There are many ways you can stay connected with the Hertie School's alumni in Bogotá. Get involved! Managing Director Axel Baisch welcomes alumni to the international workshop. The first day of the workshop included a visit from the High Commissioner of Peace Rodrigo Rivera. Several alumni include Camilo Sánchez Meertens presented their work on the workshop topic.